Banff has a unique population of 18 to 30 year old residents, typically those who have come to Banff from destinations all over the world seeking solitude and adventure in our national park. There are a variety of programs and resources that are available to these young adults. 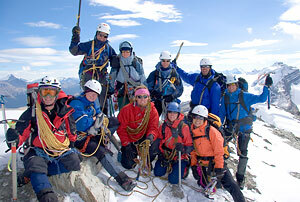 BanffLIFE is the best resource for young adults aged 18 to 30 to get started in Banff. Programs include everything from weekly drop-in Pasta Nights to affordable outdoor adventure programs. This program provides the ability to identify and support existing "natural" helpers for youth and young adults in the community. Finding natural community helpers is done through an anonymous survey process. This FREE service provides support to Temporary Foreign Workers (TFW) in the Bow Valley. We serve as your bridge between employment, community and Canadian society. We work to assist with the successful integration of newcomers to Canada into the community. Our Settlement Services will work with you to identify your settlement needs, and help you use your strengths and resources to achieve you and your family’s settlement goals.